Shot in Ilashe in Ogun state, the opening credits of Bobson’s “Iyawo” are overlaid on footage of old buildings and relics of the old city. Remy Baggins produces the mid-tempo beat as Bobson invites listeners into the countryside ambiance the song takes. 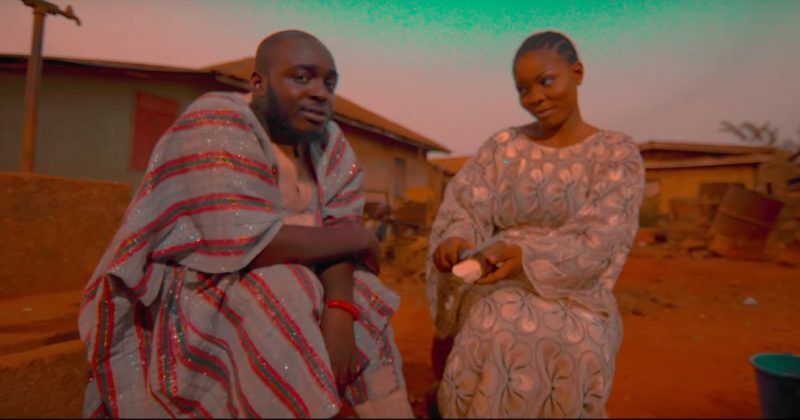 Through the video, Bobson serenades his love interest dressed in Agbada attire singing “Come and be my Iyawo” while she dances to the sweet words and beats in her equally traditional attire.